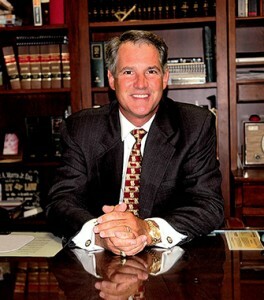 Robert Morris is a Criminal Justice Lawyer and Former State Prosecutor Practicing in Hernando Since 1991. We are diligent in our commitment to the belief that the practice of law is both a profession and a service business. We strive at all times to maintain the highest professional standards, while providing to our clients prompt, efficient and cost effective service. The Morris Law Group assists clients in achieving their goals with a minimum of stress by helping them avoid problems or quickly solving those problems within an affordable budget. The Morris Law Group is a dynamic law firm located in Hernando County Florida specializing in Criminal Defense Law. Our practice includes both a Business Section and a Litigation Section. We provide legal services principally on the West Central side of the state of Florida with an emphasis in the Brooksville and Spring Hill, FL Area. If you’re looking for an aggressive criminal defense attorney you can count on us to be here to answer your questions and provide you with the legal advice you need. We encourage you to contact our law office to learn more about how our legal team can help. Morris Law Group will fight for your innocence. See how our experience could help you. Committed to proper litigation strategy for your specific business need. Protecting your rights against negligent behavior. Timing is everything in Family Law — know your rights before you lose them. My husband and I have had the pleasure of dealing with Mr. Morris on 2 occasions. He is an honest and generous man...he got the job done efficiently and effectively. Never a disappointment with Mr. Morris! I would highly recommend using him to anyone! Bob Morris is an exceptional lawyer who has spent 20+ years building relationships in the Hernando County courthouse with judges, bailiffs, clerks and other court personnel. He is a true experienced professional that shows up on time, prepared, and is articulate in his presentation of the case. He has handled matters for me personally and for others that I have referred to him over the years. I recommend him to anyone seeking legal assistance, particularly in Hernando and the surrounding counties. The BEST Choice for your Legal Needs! There are just not enough words for the amount of sincere 'THANKS' I have for Robert Morris (Morris Law Group) and his service. I have used him in the past (1994) and again this past year as a returning client! I know I am always in the BEST hands with his representation. I have peace of mind and he keeps me very informed. His office staff is very friendly and genuinely care about my needs. They move quickly as possible to resolve your case. I highly recommend Mr. Morris and his staff of professionals. Fill out the form below to receive a confidential initial consultation. All criminal law consultations are free. The Morris Law Group is a dynamic law firm located in Hernando County Florida. We are diligent in our commitment to the belief that the practice of law is both a profession and a service business. © 2015 MORRIS LAW GROUP | ALL RIGHTS RESERVED.